For the next selection on the Highlife Turntable, I have selected the track Apaingolo, by Prince A.E. 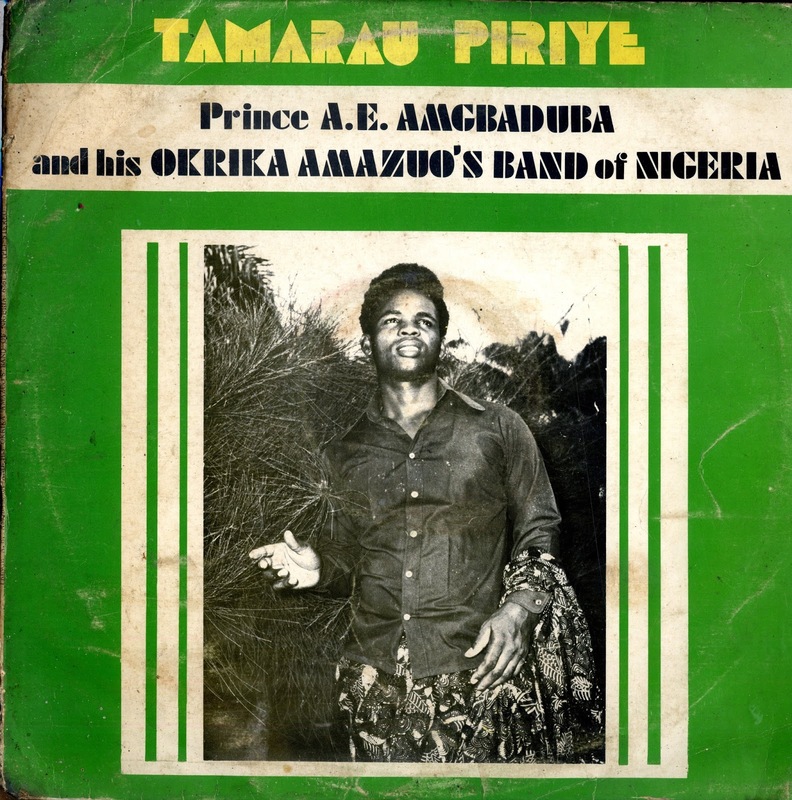 Amgbaduba and his Okrika Amazuo's Band of Nigeria. 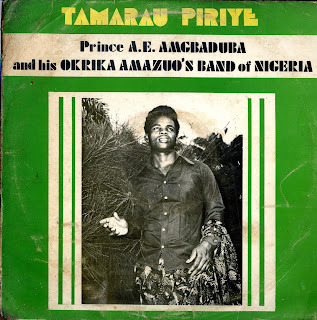 I have a few releases by Prince Amgbaduba including his masterpiece The Highlife Specialist. While not everything is great every once in a while he hits a song out of the park. There are so many parts of this song that work for me. The drumming at the beginning, the spacey guitar work throughout the song and the lilting vocals are all great. I also liked the horn break that starts around the 4.15 mark. I don't know much about the artist, so any information would be appreciated.